I-Micronews: Soitec announced that Smart Stacking, its circuit stacking technology, is now ready for both manufacturing and technology transfer. Smart Stacking enables the production of 3D-integrated image sensors. Aptina Infringes on Accolade's Patent? TopNews, AppleInsider: Accolade Systems filed a lawsuit to stop Apple from infringing its patent. In the filing in court, Accolade Systems has claimed that "Aptina Imaging and Micron are violating a patent for detecting a camera's sensor intensity saturation by producing three CMOS image sensors". By using at least one of these sensors in the iPhone, Apple is responsible for contributing to the violation of the patent, Accolade says. An original version of the lawsuit obtained by AppleInsider had mentioned Apple only incidentally and didn't include it as a defendant, revealing that Accolade had originally been content to sue just Aptina and Micron before deciding Apple could be a target as well. EETimes: Arizona-based market research group IC Insights says that CMOS image sensors, after hitting a record-high $5.0 billion in 2008, are forecast to drop 10 percent this year, but will then bounce back with a 23 percent jump in 2010 to a new record of $5.1 billion. Tech-On has an article on origins of image sensors inspired by Caltech's lawsuit against Sony, Panasonic, Canon, Nikon, Olympus and Samsung. It sounds like the defenders claim that APS were actually invented by Hitachi, rather than JPL. It's interesting to see what would be the court verdict on this. Update: Electrons and Holes blog adds few more history bits on image sensor's early years. Yahoo: Omnivision continues to exploit its 1.75um pixel design, this time with 9MP OV9810. The imager also provides 1080p HD video at 30fps. At full 9MP resolution its speed drops to 8.9fps. The 1/2.3" OV9810 delivers 960mV/lux-sec sensitivity. The OV9810 is immediately available for customer sampling with volume production slated for the second half of calendar 2009. EETAsia adds that the sensor's pricing is under $10 in volumes of 100K. Yahoo: Aptina announced MT9V117 VGA SoC in 1/6" optical format, allowing 4mm-thin module designs. Its target applications are notebooks and webcams. The sensor's speed is 60fps in VGA mode and up to 120fps at lower resolutions. The MT9V117 is currently sampling with production expected in late Q2 2009. Digitimes published a couple of rumors about recent Hynix successes. The first one says that HP asked its OEM Inventec to add Hynix' products to the testing list of sensors for its upcoming 10" netbook expected to begin volume production in May or June. Initially HP planned to use OmniVision's OV7690 in these netbooks. Inventec does not rule out the possibility of switching supply to Hynix from OmniVision, if testing results are good enough. Another Digitimes article tells that TSMC got orders from Himax and Advasense for 2, 3, 5 and 13MP sensors. Meanwhile, SMIC has secured CIS orders from most related IC design houses in China. Chipworks published a nice table of camera phone brands and sensor vendors they use. The main conclusion is there is no customer loyalty in the mobile imaging world. Are you surprised? Me not. Thanks to R.F. for the info. Yahoo: Himax announced that in less than two years since the company established its CMOS image sensor team, it has launched 3MP, 2MP and VGA sensors and will soon commence small-scale commercial shipments to one of the world's leading cell phone camera module manufacturers. The company expects the product segment to ramp in the second half of the year. Himax's CMOS image sensor was developed under Himax Imaging, Inc., a wholly-owned subsidiary of Himax. Established from scratch in March 2007, Himax Imaging has grown into a team of 50 employees, with R&D in Irvine, California, and Jhubei, Taiwan and sales, marketing and technical support in Taiwan, Shanghai and Shenzhen. The rumor is that the new sensors are based on 1.75um pixels - could be a great news, if announced 3 years ago. CMOSIS announced it has won a tender the French National Space Agency - CNES. CNES has selected the consortium of CMOSIS and Thales Alenia Space to develop the next generation TDI sensor in standard CMOS image sensor technology. This novel image sensor will have a pixel size of 13um and up to 50 TDI stages. The sensor targets CCD performance in terms of quantum efficiency, dynamic MTF and read noise. Also, ESA has granted a consortium of Galileo Avionica, BAE Systems, Thales Alenia Space, and CMOSIS the contract for the design and prototyping of a medium-high accuracy digital sun sensor for satellite attitude determination. Yahoo: Aptina is pleased to announce Junichi Nakamura, Ph.D., Managing Director for Aptina’s Tokyo CMOS Image Sensor Design Center is a recipient of the 2008 Takayanagi Memorial Award for Encouragement. 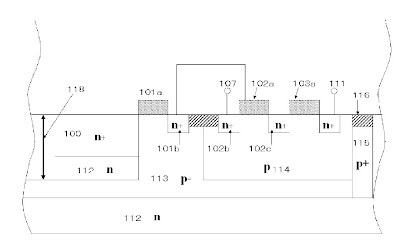 Dr. Nakamura’s selection for the Takayanagi Memorial Award for Encouragement was based upon a number of factors including his active pixel sensor research and development that preceded the concept of modern CMOS image sensors in the early 1990’s; his invention of novel readout methods for active pixel sensors, and his leadership of the development of a CMOS image sensor for Super-Hi Vision cameras. Today must be a day of awards. Yahoo: DALSA announces that Dr. Savvas Chamberlain, DALSA's founder, CTO and Chairman, has been made a Fellow of the Engineering Institute of Canada. Founded in 1980, in 2008 DALSA employed almost 1000 people and recorded over $200 million in revenue. Military & Aerospace Electronics: The CCD image sensors from e2v are part of a CCD camera system from Ball Aerospace & Technologies Corp. on board of NASA Kepler spacecraft. Ball Aerospace designed and built Kepler's photometer, a 0.95-meter aperture, wide field-of-view Schmidt telescope, with a 1.4-meter primary mirror. With more than 95 megapixels, Kepler's focal plane array of 42 e2v backside illuminated CCD90s forms the largest array of CCDs ever launched into space by NASA. Each e2v CCD has 2,200 by 1,044 active pixels; 27-micron size; and 28-by-55-millimeter image area. The devices are back thinned for spectral response across the visible and near-infrared range. Digitimes reports that Hynix developes VGA, 2MP, 3MP and 5MP sensors to utilize its 8" fabs. This should increase the market share of Korean CIS companies, including Samsung and SETi. Samsung has orders from first-tier clients Nokia, Dell and HP, while SETi has captured a nice slice of market in China. Hynix is offering more attractive prices to win orders over its competitors, according to Digitimes sources. Digitimes reports that Formosa Plastics Group, the parent company of DRAM makers Nanya Technology and Inotera Memories, is prepared to pursue talks with John Hsuan, chairman elect of Taiwan Memory Company (TMC), for its possible involvement in the just-announced DRAM entity. The island's largest plastics manufacturing conglomerate has been backing its subsidiaries' camp, with Micron Technology of the US as the technology partner, in the race to receive capital support from the Taiwan government. Other TMC parties, Rexchip, Powerchip, ProMOS Technologies and Winbond, support Elpida of Japan as the technology partner. The rumor is that Aptina has selected Nanya as its Far-East manufacturing partner, in addition to Micron's Italy fab, but this was well before the TMC idea. John Hsuan, the chairman of the new entity, is rumored to be a big supporter of image sensor manufacturing at TMC. So, if Nanya joins TMC (it has some good reasons to remain separate, though), we might find all six TMC member companies producing Aptina-developed sensors. Tech-On discusses the reasons why Sony camera division is so late with releasing fast cameras based on fast Sony sensor, much behind Casio. The first Sony fast camera, DSC-HX1, is just announced at PMA 2009. 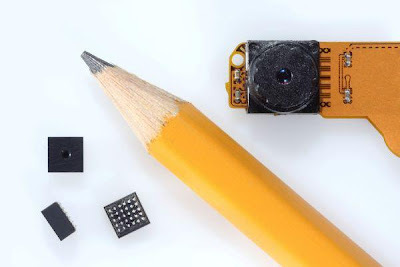 The camera is based on 9.1MP, 1.7um pixel sensor providing 10fps with fast mechanical shutter. Tech-On says the largest factor is a decision made by Sony's digital camera division, which considered that "the specifications of the first-generation product are not sufficient to develop a good seller and Sony should wait the release of the second-generation product (pixel pitch: 1.7um)." The resolution of the first-generation CMOS sensor is 6.6MP. It is difficult to sell cameras that offer fewer pixels than the lowest priced cameras, yet are far more expensive. Furthermore, Sony's digital camera division thought that the first-generation product has some problems in terms of image quality. It has a pixel pitch as large as 2.5um, but the noise is not substantially low compared with smaller pitched CCDs used in other manufacturers' high zoom cameras. Therefore, "a very clear image," a selling point that can be easily understood by consumers, was not attained. The noise level of the second-generation product (pixel pitch: 1.7um) is lower than that of CCDs with the same pitch, according to Sony. CCDs incorporated in other manufacturers' high zoom cameras have a pixel pitch of about 1.5um. Gerra adds that the company’s market share in China has stabilized after “significant losses” over the last few quarters. “While we see no meaningful recovery in overall market share near-term for OmniVision, difficult comps are behind,” he says. Laser Focus World published a surprising paper for us, silicon junkies. The claim is that in MCT world an avalanche multiplication photodiode may have no excess noise associated with the electron multiplication. MCT avalanche photodiode was first demonstrated by Jeffrey Beck at DRS Infrared Technologies (Dallas, Texas) in 2001. Uniquely to MCT, the avalanche process is electron-dominated, meaning that the bandwidth is independent of the gain, in contrast silicon, in which the gain-bandwidth product remains fixed. So far, no surprises, everything is obvious. But a group at CEA-Leti (a laboratory of the Minatec Innovation Center in Grenoble, France) discovered that MCT avalanche photodiodes have an “excess noise factor”–the noise incurred by the avalanche gain process–equal to one. 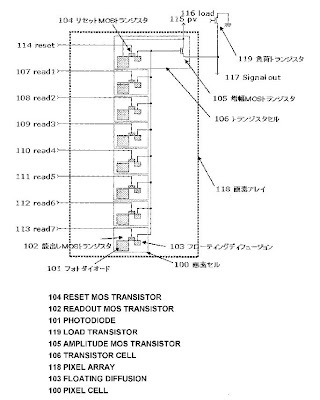 That is, the MCT avalanche photodiodes act as perfect amplifiers. Indeed, since my school time I used to think that avalanche multiplication inevitably elevates the noise floor and reduces the detectivity, no matter what. Now I'm surprised to see this theory challenged. I'd like to learn more about the new MCT results before throwing out the trusted and proven old theory. Many thanks to R.C. for the interesting link. Digitimes: SMIC has obtained orders for CMOS image sensors from most related IC design houses in China through its advanced 0.11um process and price competitiveness. CrysView, one of SMIC's top clients, has offered VGA, 2MP and 3MP CMOS image sensors since it began cooperation with SMIC on a 0.13um process, according to Digitimes sources. Honestly, this is the first time I hear about CrysView and its range of sensors. I'd like to learn more about the company, but there is almost no public information about it. The CMOS image sensor market in China is relatively competitive because of the pricing pressure, and the unit price of mouse controllers has been pressed down to under US$2. First-tier companies including HP, Dell and LG all have strong demand for China's CMOS image sensors, Digitimes sources added. The BSI Symposium is to be held a day before the 2009 International Image Sensor Workshop in Bergen, Norway.